Warm days are officially here and it means it’s time to switch the gear. Check out these spring essentials for radiant, detoxified, even-toned complexion and get yourself ready for the season’s prettiest lip colors. 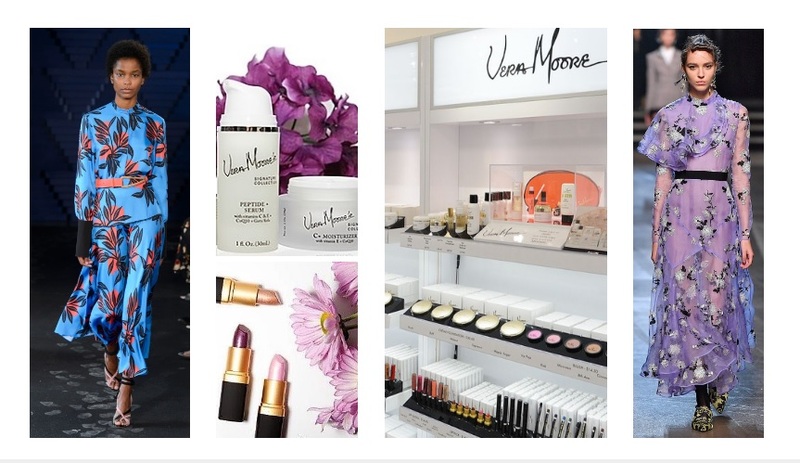 We’ve sum up seven tried-and-true luxurious makeup and skincare treats. At $16-$30 price point these won’t break the bank. Start with natural, gentle, and non-abrasive scrub. 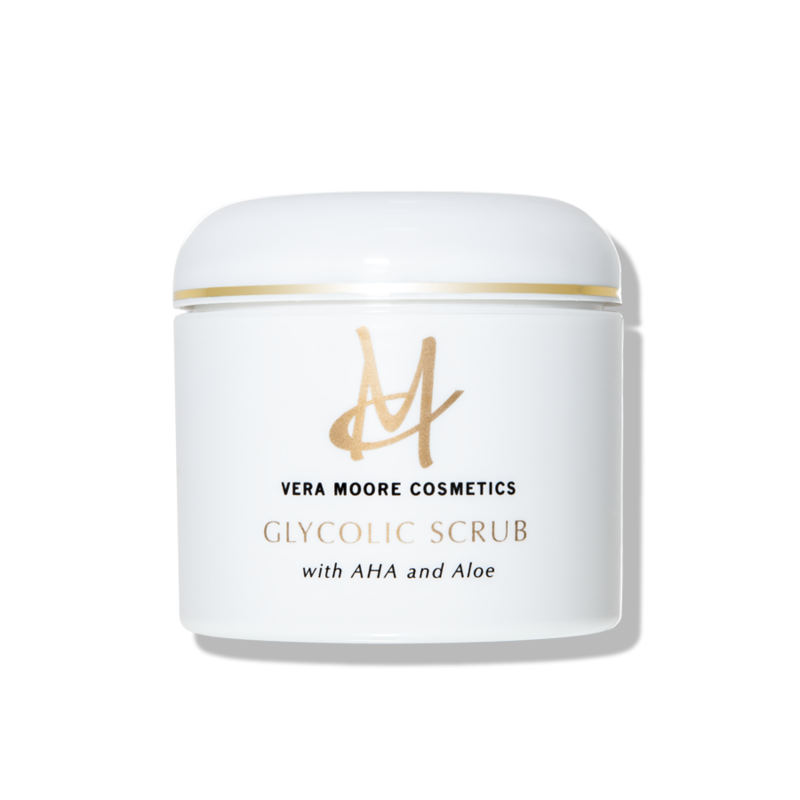 This Glycolic Scrub combines the exfoliating power of alpha-hydroxy acids (AHA) and the soothing effects of oat flour to accelerate the removal of dead skin cells and impurities from the top layer of the skin. This formula also contains aloe vera and essential oils to help soothe and hydrate the skin. GLYCOLIC SCRUB. $32.50 for 4 oz. This Peptide + Serum from Vera Moore latest Signature Collection utilizes nine natural botanical and marine extracts, essential oils, and anti-aging ingredients to tighten and enhance skin’s texture, dramatically reducing the visibility of wrinkles and mimic lines. A clinical test with Palmitoyl Pentapeptide-4, a main ingredient, resulted in a 44% reduction of deep wrinkles, a 37% reduction in main wrinkle density and a 16% increase in lifting effect within 4 weeks. 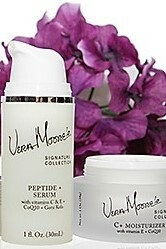 PEPTIDE + SERUM, $60 for 1 oz. 3. Switch to a lightweight water-based foundation. 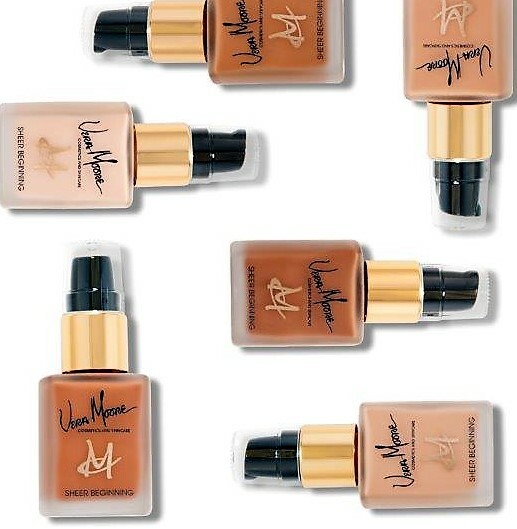 LIQUID FOUNDATION, $25 for 1 oz. 4. Switch to a liquid concealer. 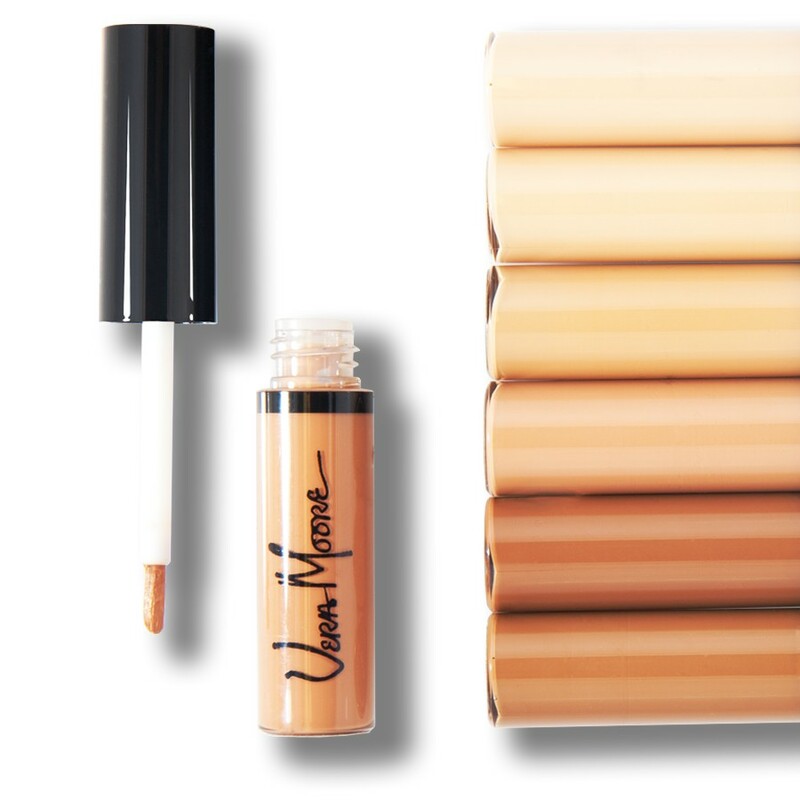 This liquid concealer has a nice, creamy texture and provides a natural looking coverage. It’s also great for highlighting and contouring; gives buildable coverage where most needed–under eye circles, acne /blemishes, scars, discoloration, and dark spots. 5. Go for a powder that can multitask, just like you do. 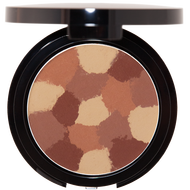 This innovative powder can provide an instant sunless tan and is able to simultaneously highlight and contour. It comes in four different shades accommodating most skin tones. 6. Lush brows are still going strong. Strong brows are still trending, you’ve seen them all over runway, including at Chanel Spring/Summer 2018 collection. We like this all-in-one Brow Quad. 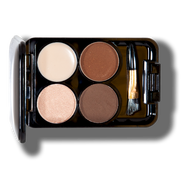 The convenient compact includes two brow powders to customize your shade, a highlighter, a brow wax and a tiny angled contour brush for on the go. 7. Add a lipstick or a lip gloss in the season’s prettiest, flowers inspired colors. Bold lips are still going strong, but in a moisturized, well-cared-for kind of way. To achieve the runway-worthy look, first exfoliate: Mix 1 teaspoon sugar with 1 teaspoon olive or coconut oil, and gently massage lips in circular motion, rinse with warm water. Now apply a moisturizing lipstick or lip gloss that does it all: Super-shiny, richly pigmented, infused with a nourishing blend of Vitamin E, and gentle emollients for smooth lips.